General eye care is just as important for your eyes as annual checkups are for the rest of your body. When you get routine comprehensive eye exams, Dr. David O’Day at Charleston Cornea & Refractive Surgery identifies changes in vision and detects eye problems early, while vision loss can still be prevented. Dr. O’Day treats the full scope of eye diseases, so if you experience eye symptoms or a change in vision, don’t hesitate to book an appointment online or call the office in Mount Pleasant, South Carolina. What is general eye care? General eye care includes vision testing and screening for eye disease. Your evaluation may include a dilated eye exam, which allows Dr. O’Day to examine structures inside your eye and identify early signs of eye disease. Many eye diseases, such as age-related macular degeneration and glaucoma, develop gradually over the years without causing vision loss or other symptoms — until extensive damage has occurred inside your eyes. 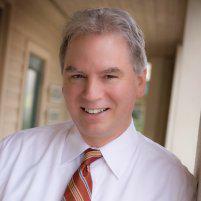 When you schedule routine eye exams, Dr. O’Day can see signs of age-related disease long before you develop symptoms. Early detection and treatment help prevent vision loss. What are the different types of eyelid growths? Eyelids are highly susceptible to skin cancer. In fact, eyelid cancer accounts for 5-10% of all skin cancers. You can develop many types of eyelid growths that aren’t cancerous, but any lesion on your eyelid should be examined by Dr. O’Day. The lower eyelid and eyelashes turn towards your eye, rubbing against the cornea and conjunctiva. Your lower eyelid and eyelashes sag and turn outward, which affects normal blinking and reduces the tear film that covers your eyes and keeps them healthy. Both conditions are associated with aging and cause symptoms such as tearing, eyelid crusting, mucous discharge, corneal irritation, and impaired vision. Thyroid eye disease is an autoimmune condition that occurs when muscles and fat behind your eyes become inflamed. As a result, your eyes and eyelids become swollen and red, and your eyes are pushed forward. It typically develops in patients with overactive thyroid disease (hyperthyroidism), but may occur in patients with an underactive or normally functioning thyroid. 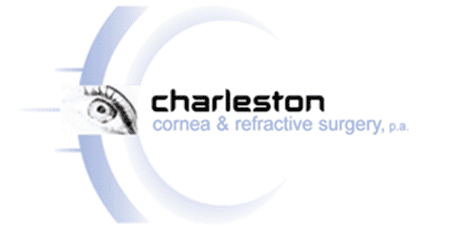 If you experience a change in vision or symptoms of an eye problem, call Charleston Cornea & Refractive Surgery or book an appointment online for general eye care.